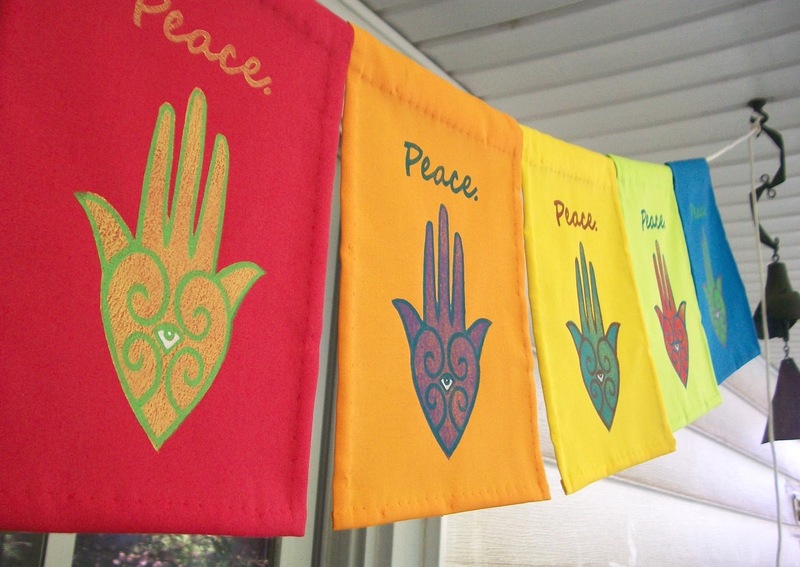 Today is International Peace Day. Here is my contribution to the Flags for Peace Project. These are dedicated to my friend Martha. She was a woman of peace. Hope you take a moment to think about peace today. They're beautiful Julie! There's something captivating about the simplicity of not only the flag itself, but this hamsa that speaks to me and has me all teary eyed. What a wonderful tribute to Martha. Thanks so much, Jennifer. This project had so much meaning for me. And based on the comments I've received I can see that they had an effect on others. Martha was my muse. Such a beautiful tribute to your friend, and to peace. I'm so sorry you've lost such a wonderful friend. She was a wonderful friend and I miss her terribly. Making the flags in her honor was a very cathartic experience for me. What a lovely and loving act. I, too, am so sorry you miss your friend. Thank you for sharing this tribute with us. Thank you Cindi. Even though it's been a year and a half, I still miss Martha. She was a kind, thoughtful and giving person. 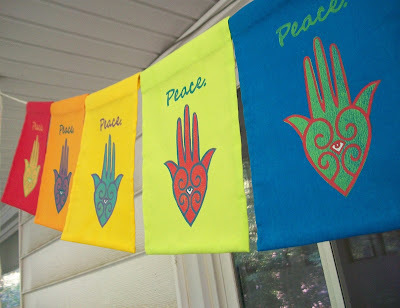 The peace flags helped heal me.